Premier Kitchen & Bath specializes in custom cabinetry for the home. In addition, we provide a turnkey solution for your remodeling project & we work with you one-on-one, every step of the way! Family owned business since 1980. We started in Carpet Cleaning and grew the business to complete flooring and remodeling projects. We are a full custom kitchen & bath remodeling company. The services that we provide are unmatched in regards to professionalism, integrity and quality of our work when it comes to our competition. For over 20 years, Royal Touch has provided professionalism combined with personal service. Our unequaled workmanship offers our customers complete satisfaction and pride of ownership. When Capmire Projects started the company in late 2007, we knew that Houston homeowners were desperate for an easier approach to remodeling their spaces. Homeowners were tired of dealing with contractors who overpromised and under-delivered. They decided right then and there that going the extra mile for customers would always be the norm for Capmire. Today, we continue to find new ways to take the stress out of remodeling your home’s kitchen, bathroom, and other spaces. 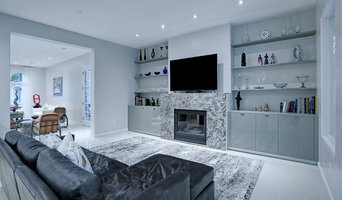 Whether it’s by providing you with updated weekly schedules detailing the current status of your project, having our project manager on your job site every day to ensure deadlines are always met, or employing true specialist craftsmen to deliver an impeccable finished product, we do whatever it takes to earn your satisfaction. Along the way, Capmire has established a strong reputation among Houston homeowners, earning us glowing reviews and a number of referrals from our satisfied clients. Whether you want to remodel your living space in a small or dramatic way, Capmire is ready to employ our extensive experience and resources for you. Our mission is to always provide professional and cost-effective home and office painting services to property owners, tenants, and business managers in the Richmond & Sugar Land, Texas areas. 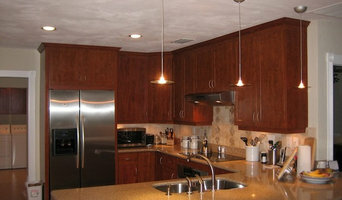 Rely on us in Houston, Texas for home and business remodeling. From design to finished project, we offer full remodeling services with an emphasis on affordable creativity. Discover the true meaning of Custom Homes with NWS. We build new homes and remodel homes specifically to your needs. We are experts in repairs, painting, and landscaping--no work is too small for us. Lots of things to think about, like where to put the cook-top or how many drawers you need. That’s why we have a team of designers that’ll help you out with your dream design. The experience you Need, the quality you Deserve. With over 40 years of experience, Century Builders is a full home general contractor specializing in lavish, custom kitchen and bathroom remodels. Kitchens and bathrooms are two of the hardest-working spaces in any home. When it’s time to update them, ensure that they stay at peak functionality by hiring a Missouri City kitchen and bathroom remodeler. With an eye for aesthetics, a practical approach to layout and design, and the skills of a contractor, a bath or kitchen remodeler in Missouri City, TX can help you execute a remodel suited your personal style and needs. What does a Missouri City kitchen and bath remodeling expert do? Licensed Texas kitchen and bath remodelers are contractors who specialize in altering the structure of an existing space, rather than building one from the ground up. Because he or she must deal with a previous builder’s work, the job can get more complicated than new construction. You might wonder why they often specialize in both kitchens and bathrooms, but if you think about those two spaces, they actually have a lot in common. Kitchens and bathrooms include an abundance of fixtures that require careful planning and installation, including sinks, faucets, tubs and toilets that all need water hookups and drainage. They also use similar materials, such as tile and stone for countertops and flooring, due to the nature of their use. So it makes sense that Missouri City kitchen remodelers and bathroom remodelers be one in the same. A bathroom or kitchen remodeler translates architectural plans from page to reality; some are also trained to provide design services so that you don’t have to hire a separate pro. Like a general contractor, a kitchen and bathroom remodeler in Missouri City, TX is responsible for hiring and supervising subcontractors and providing materials when necessary. They also should have a thorough knowledge of Texas building codes and construction-related legal issues, as well as current design and product trends. Here are some related professionals and vendors to complement the work of kitchen & bath remodelers: Woodworkers & Carpenters, Kitchen & Bath Designers, Interior Designers & Decorators, Architects & Building Designers, General Contractors. Find a Missouri City kitchen and bathroom renovator on Houzz. 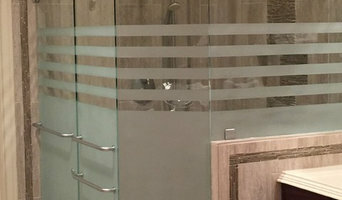 Narrow your search in the Professionals section of the website to kitchen and bathroom remodelers in Missouri City, TX. You may also look through photos of Missouri City, TX spaces to find kitchens or bathrooms you like, then contact the bathroom or kitchen remodeler who worked on it.